Technically, it’s called the Alcubierre Warp Drive, and, yes, he did take the “warp” from Star Trek which the theoretical physicist was watching when he decided to pursue the possibility of super-fast space travel without making Einstein roll over in his grave. But I digress. 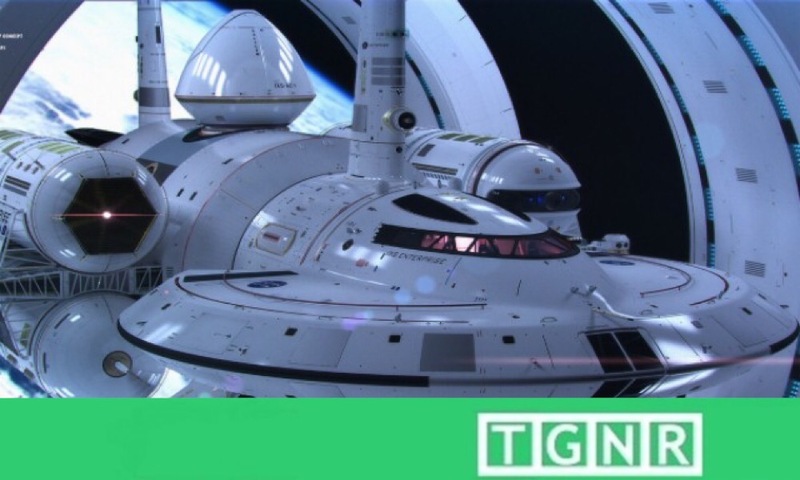 Recently, NASA revealed a concept warp-ship that would function similarly to the theorized Alcubierre Warp Drive…. and here she is! So what makes warp drive theory different? In short, propulsion-driven faster-than-light (FTL) travel seems less and less likely to happen. Instead, Alcubierre’s theory proposes that space be moved or warped until the desired destination is reached. The spacecraft would create a “warp-bubble” in which space contracts before the vessel and expands behind it. Spearheaded by Dr. Harold “Sonny” White at the Advanced Propulsion Theme Lead for the NASA Engineering Directorate, scientists have been investigating warp travel. Its results have lead to creating the White-Juday Warp Field Interferometer to try and make actual mini warp bubbles in the lab. Now they have teamed with 3D artist Mark Rademaker to give us an image of future space-travel that may arrive sooner than we realize.